Everybody belongs, everybody has a part to play! The African Djembe drum has been gaining steady popularity across the globe and Australia is no exception! This may be due in part to a developing awareness in the West of the drum as a tool for increasing personal and social integration. Drumming together is one of the most inspiring interactive group activities guaranteed to connect EVERYONE in the room within minutes! 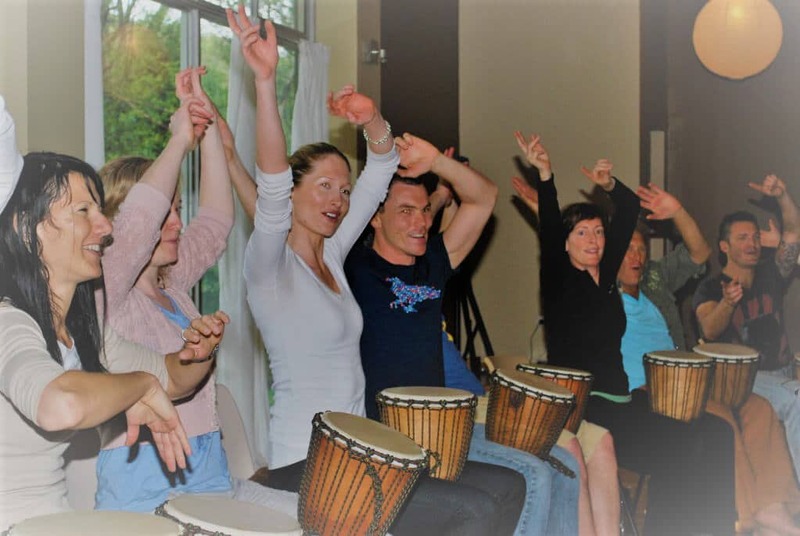 Group Drumming is a phenomenon sweeping the globe as people discover its accessibility and unlimited applications, its physical, psychological and spiritual rewards. Even for those who can't read a note of music, think they don't have a rhythmic bone in their body, or believe it will be too far out of their comfort zone - African Drumming unlocks the key to increased self-esteem, creativity, team work, communication, leadership, and overall health and wellbeing! No longer confined to music festivals and log fires, many of the Mental Health and Wellness benefits of drumming is already evidence based and scientifically proven. There is a growing body of research on the therapeutic effects of group drumming. Ground breaking studies show drumming benefits the immune system, stress levels and mood. Afrobeat's TOP 20 reasons to give a beat!